Serbian town of Prokuplje was first mentioned in written records from 1395, when the vineyards located close to “the town of St. Procopius” were donated to the monastery of Saint Panteleimon on Mt. Athos (North Greece). Organization Wine Mosaic was created in 2012 in France following the desire to make concrete steps to preserve wine diversity, protect and promote original grape varieties of the Mediterranean that are used to make authentic wines. The European triangle of great nightlife and endless entertainment is composed of 3 cities whose names begin with the letter B: Barcelona-Berlin-Belgrade. Even during the dark 1990s, citizens of Belgrade followed the philosophy of “Carpe Diem” which was perfectly suited to their southern mentality. 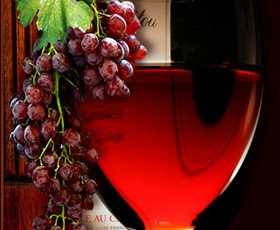 The company “Serbian Wine”, under the auspices of the Ministry of Agriculture of the Republic of Serbia, is organizing for the third time The Serbian Wine Festival at the Crowne Plaza Hotel in Belgrade (address: Vladimir Popovic 10, Novi Beograd) on the 24th and 25th October, 2014 from 15h-22h. The city of Niš is situated in a vast valley at the confluence of the Nišava and the South Morava rivers. Throughout history, it was known as the “Gate of East and West” through which the main routes from Europe eastward were passing in order to reach Constantinople and beyond.